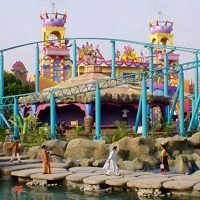 Tourist Spots or Beautiful Places in Dhaka are Mirpur Zoo, Shishu Park, Balda Garden, Lalbagh Kella, Ahsan Monjil, Navotheater, Hitirjeel, Shohrawarddi Uddayan, Bahadur Shah Park, National Meseum, Muktijodda Jhadughar, Samarik Jhadughar, Nandan Park, Fantacy Kingdom and more..
Any one can go there by bus, car, cng auto rickshow, or manual rickshaw from any place of Dhaka. Open in Holidays: Government Holiday (s). Located at Shahbagh, Dhaka; Just opposite of Dhaka Club and Near Ramna park. Ahsan Monjil is situated north bank of river Barigonga (near Sadargath). The area name is Islampur (Islampur is know for whole selling of clothe). If you go from Gulistan to Ahsan Monjil, you can reach to sadargat by bus or rickshow, at the main gate of sadargath, turn right, go about 5 minutes by walk toward to Ahsan Monjil. National Museum of Bangladesh (Jatiyo Jadughar) is located at Shahbagh area of Dhaka, near shahbagh bus stand, opposite of PG hospital, Dhaka university is south side of National Museum of Bangladesh. Lalbagh Kella is located at Old Dhaka of Dhaka south city corporation. Monday: 1:30 pm to 5:00 pm. Weekly Close Day of lalbag kella: Saturday. Shishu mela is located at Shemuli area of Dhaka city. The children park is situated beside the Dhaka-gabtoli road. If you go from Golistan or Shahbagh, you can go there by bus, car, cng auto rickshow; After classing the Asad Gate, Sangsad bhaban area,, Residential Model college, Shaheed Suhrawardy Medical College & Hospital; look at the right side, near the Shemuli bus stand. Every Day Open: 8:00am to 11:00am, 2:00pm to 5:00pm. Bangabandhu Sheikh Mujib Navotheater . Show Time: 11:0am, 1:00pm, 3:00pm, 5:00pm, & 7:00pm. Friday: 11:30am, 3:00pm, 5:00pm, 7:00pm. Fantasy kingdom is located at Ashulia of Savar district, Bangladesh. Friday Open at 10:00am and close at 10:00pm. Government Holiday; Open at 10:00am and close at 10:00pm. No weekly holiday at fantasy kingdom. 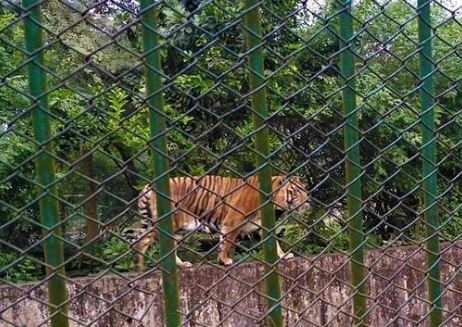 No weekly holiday at Nandan Park. Every tourist spot in Dhaka has its own pricing system for Entry Tickets and Riders. You should have a budget for Riders. You must know every day starting and closing Time schedule. To know weekly closing day is important, otherwise you my visit there on weekly off day. You must ask Foods price before taking any item from inside the tourist spots. Normally, they charge high for any item than normal price.